Tocobiol® C Blends is the range of tailored antioxidants for cosmetics, these are natural and semi-natural antioxidants that combines Tocobiol® with different natural or synthetic ingredients, creating a synergistic effect to increase the antioxidant capacity of the product. 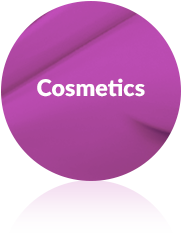 BTSA develops tailored mixtures for any type of cosmetic or personal care applications, according to the needs of each client. We offer references with ascorbyl palmitate (Vitamin C), propyl gallate, lecithin or rosemary extract. Our experienced team of professionals will advise you to develop the best antioxidant for your product. Have any question about TOCOBIOL® C BLENDS?